Well my uploaded.to account has ended today and left me without a file hosting service to use. Although the easy solution to the problem is to simply renew the subscription I had a problem. It's not that I am unhappy with the Uploaded.to service, the service is fast and reliable. The problem is that there aren't many people using the service hence there are to little sources to download from. Most of the time even if i had found a source, the file itself would be offline. In the past I also tried great service like rapidshare and filesonic but I left them both. I left rapidshare after they set a low download limit for each account and filesonic stopped supporting broad audience sharing of uploaded files. After a quick market survey I looked at three options: uploaded.to FileFactory and turbobit. Uploaded.to gives a great service for a fair price. If more people used it I would have probably renewed my subscription. FileFactory is a well known service with many links supplied. They also offer a free basic account which I am currently checking out. turbobit.net is also a service which is gaining popularity with many links found when searching for a download. There is no free basic account but they offer a very tempting price for subscriptions. A 6 months subscription will cost the same as a 3 months subscription from a competing services. I had to check it out. Looks like I did an error when subscribing for turbobit. It seems that they offer an option to signup for free (no understandable difference than anonymous download though). I haven't seen it at first. I paid for a 6 month account via paypal and was supposed to receive my user / password by mail. After not reveiving it I noticed the registration option but still no user / password. Opened a support call but had no reply for 24h now. I also tried contacting them through skype but they are offline. Looks like i might have to open a dispute on the transaction on paypal. I received my username / password in the mail. I immediately started testing download speeds buy looking for files and downloading them. Tests aren't conclusive yet but it looks like I can only use 70% of bandwidth for turbobit that makes it a bit slower than FileFactory. There is a new feature that Facebook is testing out, Highlight. 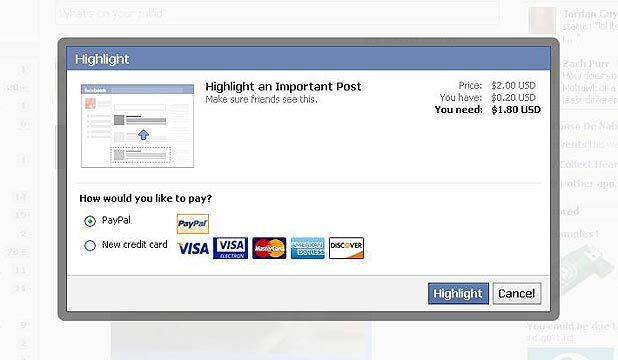 Basically it will give to the option to pay to keep your post at the top of your friends news feed. It looks to me that Facebook noticed that it reached its max market growth and is desperately looking for new ways to create more revenue for the company. I first read about the new Facebook Feature at: http://www.stuff.co.nz/technology/digital-living/6904136/Facebook-running-test-for-highlighted-posts were Facebook spokeswoman Mia Garlick confirmed it was a real new "feature". Personally, I don't think I will have much use for it. I got my hands on a Motorola Xoom to play around with. It came from a disappointed friend that has trouble setting up the tablet just the way he likes and so stated that if I couldn't make it better he had no use for it. Naturally I jumped at the opportunity to reconfigure the device and make it more user friendly for my friend. He doesn't know what to do with the device other than browse the net, check mail and use it as an expensive photo album. When uploading Hebrew songs (when the file name is written in Hebrew), the text on the tablet is garbled. He cant figure out how to upload and view movies and TV series on the tablet. I decided to go at it in reverse. 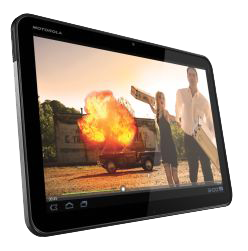 The Motorola Xoom by default seems to only support H.263, H.264 and MPEG4 formats. The fix to that is fairly simple, install a player that supports more formats. I choose to use the MX Player which can play most formats and is pretty simple to use. In order for it to work though you need to download the MX Player Codec as well. After doing so I had no problems playing AVI and MKV files. It seems that the problem was the encoding that Windows Media Player uses. All the id3 tags on the files were saved as Windows Hebrew code-page (1255) which is unreadable on the Xoom device (is there a solution ?). The solution is changing the encoding to Unicode. Since i couldn't find a single application that modifies code-pages for multiple files and directories (I really should write one), I used foobar2000 with the Chacon plugin for the modification.Once done i re-uploaded to the Xoom and it worked perfectly. This was simple for me but I don't think a regular user would appreciate the work around. A simple tutorial can be found here. The first thing you usually need to do for pimping the device is getting it rooted and then choose a ROM for your tablet. In this case I chose not to root the device as I wanted it to return to the owner as standard as possible since he was not a power user. Go to Apps -> settings -> about -> System Updates. Go to Apps -> settings -> Security -> Unknown Sources checked. Once you have the Astro File Manager set up you can install your apps from the APK file on are not limited to downloading from the android market. After installing a few needed applications, folders were needed to keep things neat. Connectivity to the device is extremely easy however transferring content to the device can be confusing to the novice user. I can believe I'm actually going to say it but an iTunes interface would be much better. The device runs smoothly and I didn't get any application crashes that I have on my iPad1. Android tablets support flash that lack on apple devices but loading flash games I realized that most were not intended for tablet use and need a mouse control to be fun and easy. The power button is on the back of the device. Which is very unintuitive after getting used to the iPad. One thing it has that the iPads don't is an external memory option, Yay !! I found the Motorola Xoom to be a great tablet for the geeky user. The tablet doesn't exceed the iPad2 and is expensive so I wouldn't recommend it for novice users. The iPad is still in the lead, at least until I check out the Xoom 2. I currently own an old iPad ( iPad1 ) and am addicted to it. I barely need to use my laptop anymore since all my work is devided between the iPad and my Desktop. Of course the iPad has its problems, is limited and running applications crash now and then but it is a great device that you cant get angry at. Knowing the limitations of the iPad1, I have been waiting eagerly for the release of the new iPad ( iPad3 ) and the original plan was to imidiatly buy one. Since the first day reviews weren't as worm as I expected, I decided to wait to play around with one before buying. 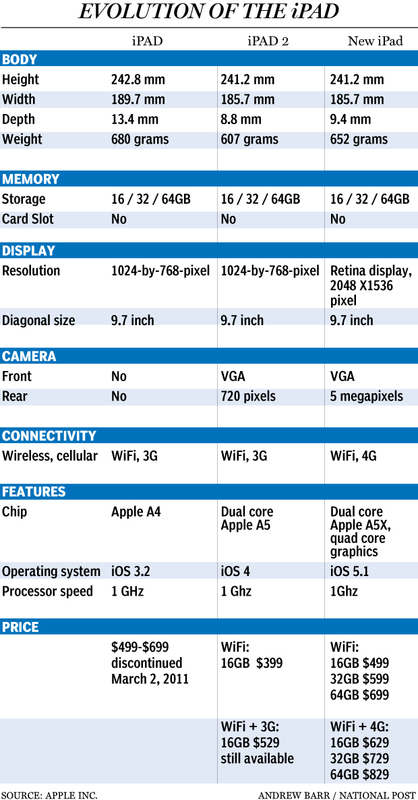 Looking at the specifications, the New iPad is extremely superior to the old iPad, smaller in size and in weight, has the new retina display,quad core processor and more memory (1Gb instead of 256 for iPad1 and 512 for iPad2). When holding it in my hands i was a little disappointed. It felt just as heavy as the old iPad and the retina display isn't noticeable at first glance since most apps didn't improve their graphics. The camera is good but I don't really plan on replacing my regular pocket cam. To top it all off, I don't have 4G network support were I live so that feature is wasted on me. In conclusion I'm not sure if the new iPad justifies the price. The way I see it my choices are between waiting for the iPad4 or purchasing a cheaper iPad2. After all the leap in performance and quality from the old iPad to the iPad2 is a large one. My team is starting a new big project at work and naturally we start off by choosing our infrastructure. The first task is choosing a Logging solution. All 3 are valid options however I found that EntLib is over bloated with unneeded code and usually requires a wrapper to keep the usage simple. As for Log4Net and NLog, both have a similar interface that is easy to learn and are highly configurable. Checking user opinions on the web I could not see a clear consensus as of which is the better framework. I did find a nice comparison of the frameworks at: http://essentialdiagnostics.codeplex.com/wikipage?title=Comparison&referringTitle=Guidance but still it was not a conclusive choice. Currently I am leaning at NLog. Any Opinions ? We have chosen Nlog as our framework since there are a lot of old bugs and change requests for log4net that aren't being addressed. It seems like development and maintenance slowed down terribly. It also looks like the industry is heading in this direction anyway. I'll keep you updated on how it goes. Recently Microsoft released Visual Studio 11 Beta which is is free for download (and includes a license up to January 2013). As I understand it the main focus of the Beta release is the Windows 8 Platform. going to download it now and give it a try. Can C# replace C++ ? I have encountered the "Can C# replace C++" question numerous times, sometimes at work and quite a lot on the internet and the responses I see are usually confusing and sometimes just plain wrong. So I'll start out with the general answer, C# is a powerful programming language that can do almost everything a native C++ application can do. With C# I am able to bring more stable solutions to production in a shorter amount of time and at a lower price, thanks to the powerful libraries that come with it out of the box, the memory managed code and shorter training time for young and new programmers. Good examples are the WPF, WCF and ASP.Net frameworks. For programming all the optimized algorithms that I used to need C or C++ for, I can simply used an unmanaged function in C#. When working with devices, I can usually find great wrappers or write my own in C#. Having said all that, still I need C++ for writing all the low level drivers when context switching is a problem. But for most programming chores this is not the case.